Whew another week down! This marks my second full week of blogging and again here I am linking up with Lauren from Lauren Elizabeth to showcase some of the things I have been living and loving this week. 1. 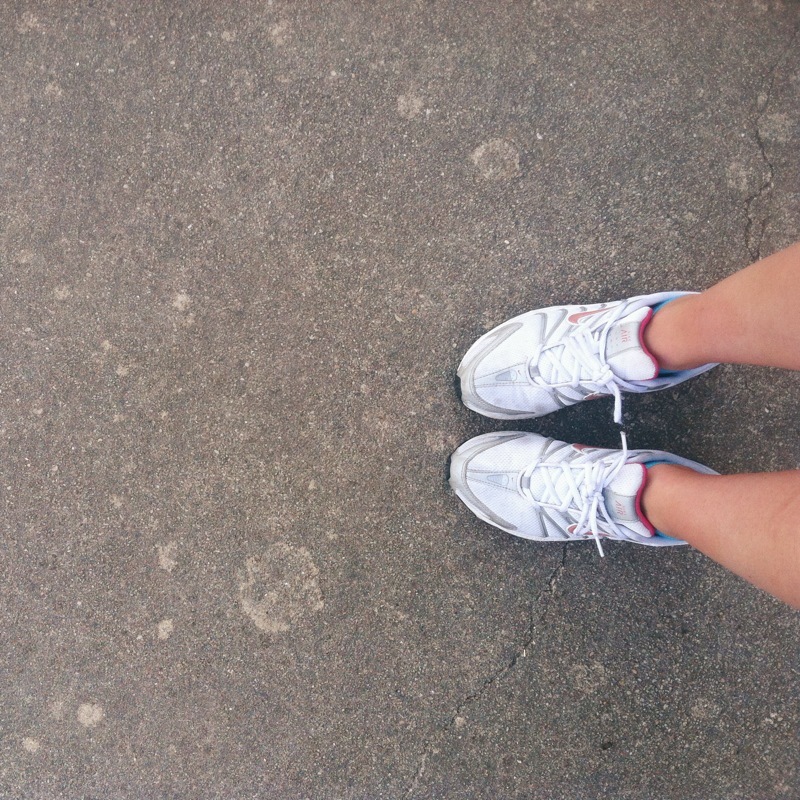 Running! I have recently started running in the afternoons after work and so far it has been HARD, but extremely worth it. I can already feel a difference in myself in so many ways. I went to college at Texas State University and our campus has so many different terrains in one area. I never noticed it till I finished college and moved to Austin, but I was quite active without ever actually being active. I needed a way to supplement that and running has completed that! 2. Bringing my lunch to work everyday. This past weekend my boyfriend and I went on the end all of grocery shopping trips. We both have a tendency to eat out everyday for lunch and while you may not notice it, that really starts to add up! And not just on your bank account, in your mental and physical health as well. I've already noticed this week that I don't have that full, heavy feeling I would have after grabbing lunch from somewhere downtown. It's also great to be able to add variety to lunch time again and not just: Jimmy John's, Chinatown, Chipotle, and repeat. 3. Taking the long way. As stated above, Texas State always provided the opportunity to get in a little exercise during your daily routine and sometimes I miss that. Lately, whenever I have an errand to run or a chore to do, I try to take the long way back to my destination instead of just getting there the quickest way possible. This provides me the time to enjoy the outside (however hot and unbearable it may be) and get in a little extra exercise without actually feeling like it. 4. Live Music. I love live music to death. I used to work as a bartender at a music venue during college and what kept me going a lot of the time was being able to hear all the amazing music I could. Working there also provided a super easy way to find and enjoy said live music. Nowadays, we try to catch as many lives shows as possible, what with living in Austin, Texas and all! 5. This weekend we are packing up and heading out of town to visit my boyfriend's parents in South Texas and I am so excited to escape the city for a few days! Lord knows this small town girl needs it.